Native Americans have harvested the sap of maple trees for thousands of years and the Savage family, members of the Fond du Lac Ojibwe, has the only stand of oldest growth maples in Northern Minnesota, surviving logging and the fire of 1918. 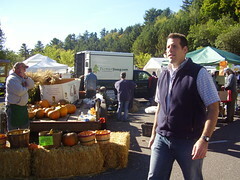 Each year residents in Duluth, Minnesota are able to buy their products at the local farmers’ market. 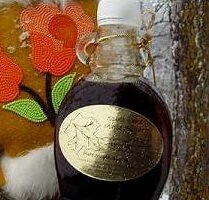 MarkdownMom defies anyone to find a better tasting Maple Syrup in the country–sorry Vermonters! Order online $7.00 for 8 oz. bottle from Spirit Lake Maple Syrup, and other products include wild rice, and maple sugar candy. The Happiest Cows Live In Duluth, Minnesota! Despite the popular California Dairy Ad Campaign, the proof is in the pudding, or the product to determine the happiest cows. 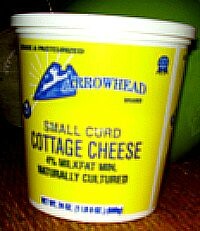 Franklin Foods located in Duluth, Minnesota is the distributor of Arrowhead Cottage Cheese. How good can cottage cheese be? Well, let’s put it this way, locals now living in Minneapolis make runs to Duluth and load up on Arrowhead Cottage Cheese. The consistency is creamy, and the taste is absolutely yummy without any of the sour or bitterness you can encounter in some of their competitors. Add fruit, or herbs, makes a wonderful substitute for ricotta in lasagna, or eat it just plain. Great way to meet your calcium needs, too! Your Kids Will Say M-o-o-ORE! 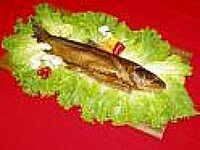 Smoked fish is a delicacy in many countries and the scandinavians have their own version of lox with various smoked fish. In our own backyard, one of the best resources for delectable smoke fish is Russ Kendall’s Smoke House in Knife River, Minnesota. Located at 149 on Scenic Highway 61, Russ Kendall’s Smoke House has been a family owned store since the 1920’s and is known far and wide for their smoked fish that includes trout, salmon, whitefish, herring, ciscoes, and other seafood delicacies. Markdown Mom especially recommends the trout smoked in brown sugar. Contact them at 1-218-834-5995 to place mail orders. Smoked fish can be a great addition to any buffet. Elegant enough for a wedding reception, or an appetizer for any occasion. It’s wonderful to try new dishes, ethnic foods, but once-in-awhile, if you’re a meat and potatoes type person or married to one, or just enjoy simple American fare then finding a place with home-cooking like Mom use to make is a welcomed change. With the global palate we have acquired, even good ole’ home cooking has become a specialty. Going the way of mom and pop neighborhood stores has been the corner café offering tried and true favorites like hot meat sandwiches with potatoes and gravy, daily specials, where breakfast is served all day long, at affordable prices. But, if you look hard enough and ask longtime residents, you are bound to find one of these gems. Such is Julie’s Family Restaurant located on Belknap Street, in Superior, Wisconsin. 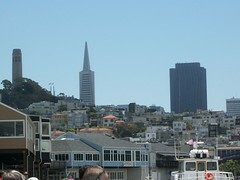 “Right across the bridge,” as we refer to its’ location. Imagine a 3 egg omelet with 2 cheeses and 2 pancakes for $4.70! Daily dinner specialties after 4:00 P.M. include an “all you can eat” Fish Fry on Fridays for $6.50 includes french fries or baked potatoes, coleslaw and roll. Great down home cooking, friendly service, and affordable prices–what more can you ask for? Retrofit Your Car With Hydrogen Fuel Cells? You Be The Judge! Recently, a local television network covered a story about an attempt to competitively attack high fuel prices by using hyrdrogen fuel cells for your car’s engine. The theory behind these hyrdogen fuel cells is that it turns combustion powered engines into hybrids. Supposedly, by entering into the burn chamber along with your gas, the hydrogen ignites faster, propels the engine when the distilled water interacts with a catalyst in the cells. The developer, J.Plante, a former computer employee, claims that installing these cells can increase fuel efficiency by 25%. He recommends one cell per one cylinder, and for six cells the price to the consumer is $314.95. 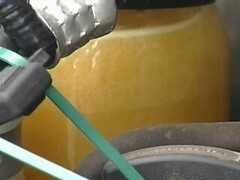 In warm weather, distilled water is used, and for cold weather, he recommends using windshield wiper antifreeze. There are some serious skeptics concerning these devices, since they are not comparable with the technology of PEM Hydrogen Fuel Cells currently used in hybrids, and there are questions regarding generating enough electricity to convert the water into electricity and the damage it may cause to a car’s alternator. No brainer is to slow down, you can save as much as 25% by not putting the pedal to the metal. Keep your car in good running condition. Tune-up to increase gas efficiency. Don’t pull-out from a stop like you’ve just been given the flag at the Indy 500. If you have to pull-up at a red or stop sign by hitting the breaks so hard that your car reacts like a bronco, then you were going too fast. Know the maximum air level to keep your tires efficiently inflated. Shop around online search engines for the best fuel prices in your local area. Check out: Gas Buddy, Yahoo! Search Shortcut, Motor Trend, Gas Price Watch, and others. Apply gas coupons that you find on the opposite side of your grocery bill, you can get 3¢, 5¢, up to 14¢ off a gallon by using them. For you gamblers, some casinos offer players cards that can be applied for a reduction at local gas stations. Warehouse stores generally carry gas cheaper, not a member? Don’t worry, gas stations located near these warehouse stores usually will offer the same price per gallon to remain competitive. Car pool to work, this way you can split the cost of fuel and parking. Use a GPS to plan out your shopping and business destinations to save time and money. Make lists so that you avoid those additional runs to the grocery or hardware store. Have other suggestions? How about sharing??? *photo courtesy of KBJR Northland’s News Center. Shopping Local Meat Markets: Superior Meats Are Really Superior! There is nothing like shopping a dedicated meat market. Long established as a neighborhood partner, local meat markets are great places to protect your family from recent quality problems that have plagued the food industry. The local meat market depends upon its’ reputation and, therefore, have cultivated a long relationship with established suppliers. Each local boucherie has a specialty either in smoked goods, specialty products like étouffée, sausages, and special cuts. Superior Meats located at 6301Tower Avenue, Superior, Wisconsin. This meat market came to Markdown Mom’s attention years ago. Located in the South Superior neighborhood, many of the butchers have worked in the Northland for years at Home Market, Fichtners, and other local meat markets. This meat market is the only place MDM found carries Wolfgang Puck’s favorite cut of beef, the Prime Rib Steak. Better than T-Bone or Porterhouse, this is great on the grill. Although not carried regularly, leave your name and number and they will call you when the next shipment comes in. In recent years, their Greek sausage won first place at the Wisconsin Association of Meat Processors’ annual competition in 2006. A judge from Kraft Foods remarked that this sausage comprised of pork and lamb and taste like a Greek Gyro, was the most unusual sausage he had ever tasted. It’s 52 feet full service meat counter is the second largest in Wisconsin and attracts customers from all over including the Twin Cities. “There’s a trick to cutting meat,” Mike Cragin Superior butcher states, ” and when it isn’t done right, customers end up with a tough piece.” It’s important to know your butcher. Currently, there a plans to add another smoker to handle all the customer needs. MDM also recommends their hams, Greek souvlaki, large chicken breasts plain and marinated, sausage, and the best thick sliced bacon you will ever eat. The store is open everyday including Sundays until 8 PM. This is a must see site to get some of the choicest meats in the area. Pi R Square? No Pie R Round & Good! The April, 2008 edition of Saveur, a wonderful magazine filled with tips and global delicacies, gives homage to the many delectables to be had in Minnesota. From our annual smelt run to sophisticated cheese made from sheep milk and the "jucy lucy" hamburger from Matt’s Bar in Minneapolis. Up in Markdown Mom’s neck of the woods, the rhubarb pie of Betty’s Pies located in Two Harbors is listed as one of the ten regional tastes that are the quintessential Minnesota food experience. Established in 1956, Betty and Lloyd Lessard bought Andy’s Fish Shack in Two Harbors and opened a cafe. Beginning in 1958, Betty started selling pies and the rest is history. In 1984, after 28 years, Betty sold the business. 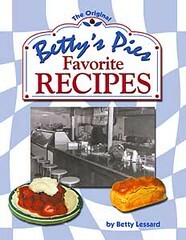 Today, Betty’s Pies is still in business selling pies based upon Betty’s original recipes. However, not everyone can drive to Two Harbors to savor Betty’s pies and baked goods. If you want to try Betty’s mouth watering pies and enjoy the aroma of fresh baked pie that will fill your home, MDM urges you to buy Betty Lessard’s recipe book, Betty’s Pies Favorite Recipes now available at Amazon reg. $16.95, on sale $13.22. For the pie connoisseur in your family, you can’t go wrong. It’s not only a good thing–it’s a delicious thing!